Validis technology resolves many commercial lending industry pain points associated with data access for both borrowers and lenders. Having recently signed an exclusive deal with Wolters Kluwer in which they will build off the momentum gained in the audit vertical, Validis is now focused on expanding to the commercial lending market in North America. 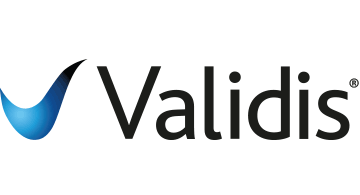 Validis technology is a permission based platform that connects lenders, in real time, directly to a borrower’s financial accounting application. An exact copy of the data, including the transactional level details is extracted, transposed, analyzed, and delivered to the lender in a consistent format. Essentially, Validis feeds and automates loan origination, covenant monitoring and reconciliation. As a result, risk is minimized and lending rates increase. Borrowers are seeing the benefits as well. With a few clicks of a mouse, they receive fast and fair responses to their funding application. Unlike other technology on the market, Validis can be tailored for multiple uses within different lending products such as Revolving Credit Facility, Term Loans, Invoice Finance and Leasing. In addition, Validis supplies lenders with pre-analyzed financial reports with drill down functionality to the transactional level detail, giving an immediate view on liquidity history and collections. Our lending clients have been wowed by the benefits Validis delivers. Loan originators are reporting a significant reduction in the time it takes to on-board clients due to the ability to access the borrower’s complete financial data in real-time, the automatic trend analysis and the interpretation of data. Risk managers are benefiting from reliable and detailed management information (MI) as well as easy financial covenant checking. They are empowered to make quicker, more informed decisions. Finally, operations teams are enjoying the ability to covenant test and monitor with ease, access to MI, reporting standardization for audits, and the ability to feed the data into backend systems. About Validis Validis cloud-based software is revolutionizing the lending industry. The platform allows huge advances in automation in organizations from global banks to fintech startups. Validis connects to over 70% of the SMB accounting software market. The value-added benefits to our clients include: time and cost savings, platform simplicity, bank-grade security, transactional detail level sophistication, data extraction and transmission speed, and report standardization. Our team is focused on service excellence and ongoing innovation to stay ahead of the fintech industry and provide our clients with tomorrow’s technology, today.